What to Pack for a Picnic in the Park - Utter Buzz! I enjoy eating in pretty parks, especially as we head into cooler temperatures, but I do not enjoy schlepping plates and utensils to and from my home. 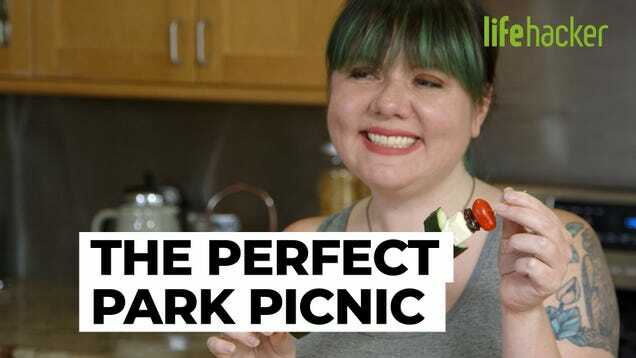 Here we show you how to make artfully assembled skewers, stacked with a variety of flavors and textures for easy outside eating—no forks required.